Yet again, you need to squint.Maybe Marvel should have all their promotional media with a magnifying glass if they decide to keep on to this this clever (or silly) marketing. 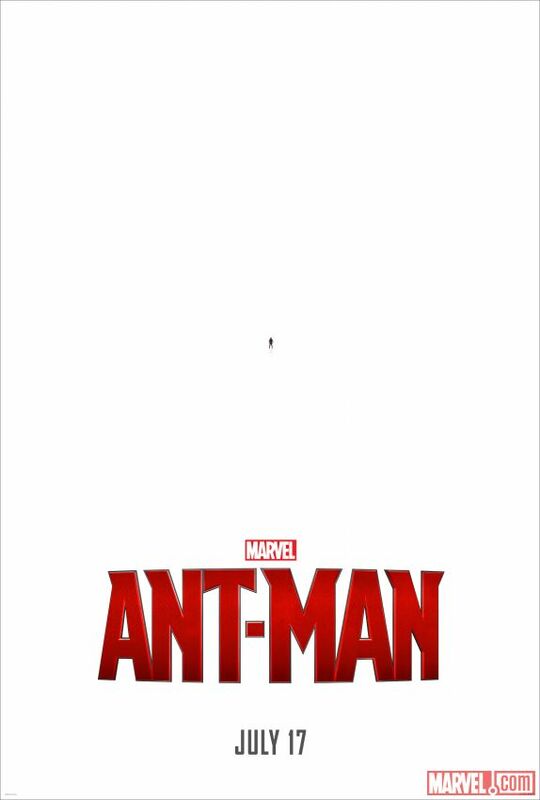 After the miniature teaser trailer , Marvel has just released the first ever Ant-Man movie poster that continues to embrace the unusual power of the superhero: shrinking. Certainly, fans think Marvel’s marketing for Ant-Man is funny and clever. However, some think that this promotional technique is getting way out of hand. I mean, come on, would you stop by to stare at a blank poster on the wall? Here’s the teaser trailer of the movie, which opens in theaters this July. The next evolution of the Marvel Cinematic Universe brings a founding member of The Avengers to the big screen for the first time with Marvel Studios’ “Ant-Man.” Armed with the astonishing ability to shrink in scale but increase in strength, master thief Scott Lang must embrace his inner-hero and help his mentor, Doctor Hank Pym, protect the secret behind his spectacular Ant-Man suit from a new generation of towering threats. Against seemingly insurmountable obstacles, Pym and Lang must plan and pull off a heist that will save the world. Peyton Reed directs Marvel’s “Ant-Man” with Kevin Feige producing and Louis D’Esposito, Alan Fine, Victoria Alonso, Michael Grillo, Edgar Wright and Stan Lee serving as executive producers. Marvel’s “Ant-Man” delivers a high-stakes, tension-filled adventure on July 17, 2015.